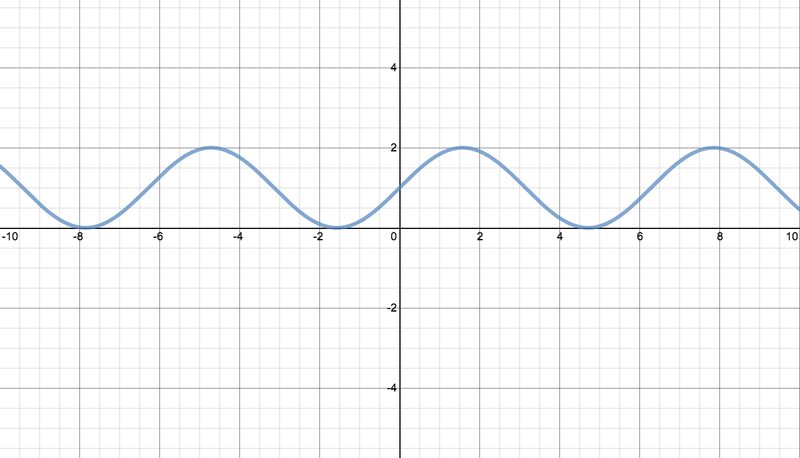 The graph was very easy to make with a sin equation, however I thought it would be neat to replicate it with a cos equation. I enjoyed figuring out the equation as it allowed me to manipulate the graph multiple times. The desmos online calculator was also really efficient to use. Overall it was really cool! This graph is easy to make with a sin equation. It took me a few tries to figure out the equation but I ended up coming up with y=sin(x)+1. y=1+sin(x+1) was the closest I could get to replicating the graph luckily we just went over how to graph these kinds of graphs.